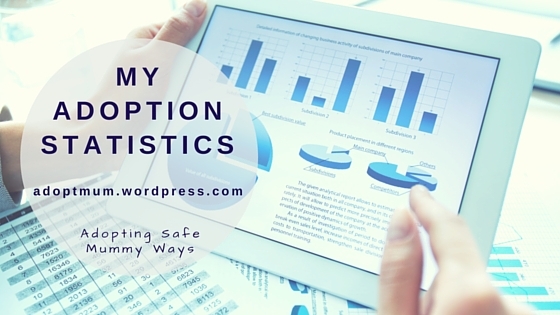 It’s been a hell of a week and we’ve been increasing the adoption statistics. I wrote a couple of weeks ago about I Can’t Believe It but this is the biggest time of disbelief I’ve ever had. Those who experienced delays and multiple placements. She’s 13 and we’ve been struggling for ever really but definitely since starting secondary school at age 11! Tick! She wasn’t placed with us until she was 5 years 7 months after 3 foster placements and a previously matched family who backed out at last minute. Oh I think that’s a big tick! The report also talks about the harsh reality for the minority of families where placements collapsed under the strain with too little support from social services and adoption agencies. Within the first 6 months of being placed with her sister we had running away, kicking, biting, punching, spitting and more. Our local (very good at the time) CAMHS psychologist told us they should not have been placed together! The placing LA told us it’s both or none. 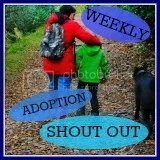 We delayed the adoption order to try and ensure we had the right support in place. It didn’t help in the end. The placing LA social workers were so obstructive that I began to wonder what their real priority was – helping the children or covering their backs? We got no support, so paid privately for therapy. That business is now recognised provider under the Adoption Support Fund. Therapy helped and we discovered just how desperately and horridly neglected and abused my girls were. This came from their therapy, not from files and LA information. When we got to the really big stuff she got so violent that we were asked to leave! So therapy stopped. Skip forward to the last two years when I started writing this blog. The list of blogs which highlight the issues, struggles and fights I’ve had to get support. All this takes effort and there have been times when I have to decide where my efforts need to go and I stopped doing blogs for a bit or stopped fighting for a bit. In the last two years – since she was 11 (there’s that statistic again) her violence and difficulty have escalated and escalated. She already regularly attacks me which I’ve written about in Child to Parent Violence. She’s re-enacting everything from birth family and she totally hates her birth mum and what she did yet now, that is being played out again but directed at me. She’s threatening her little sister and that’s scary – for her and us. She carries out most of her threats these days. School (her second secondary school) have said they can’t cope and even though I put my cards on the table with suggestions she ended up under the PRU- Pupil Referral Unit (for those who don’t know – that’s the school where children go if excluded or with severe emotional / behavioural issues when all other schools cannot have them). Even when I am working with the Local Authority to try and get City-wide help for all adopted children in school, it hasn’t been fast enough for Biggey. Part of the answer for schooling was to leave her home with me Monday morning and All day Friday’s! Didn’t help us at all. Where an entire school of staff cannot cope, the little alone me is supposed to! Its ridiculous. We have repeatedly asked for support and mostly been offended by their responses. The latest request in March was a bit more successfully and we thought change would be coming when we persuaded Social Services to allow us to apply for the Adoption Support Fund (even to get to that was a struggle). I’ve repeatedly told our SW we are struggling, we need respite only to be told it’s not available under the ASF. I don’t care who provides it – we need it. No-one listening. Earlier this week she stropped, kicked off and ran away (again). We found her, got her home but still violent and aggressive. I escalated (again) through Social Services and eventually two Social Workers came. They asked her what she wants. She wants to go into care. She’s asked this before, several times. The SW offered to see her daily if necessary to help her and us. Where was that when I was on my knees? When I kept asking for it? No matter, Biggey was adamant, we are knackered / traumatised / worn out and same as last September, wondering Why Bother? So there we have it. We met the final statistic. Placements collapse under strain with too little support from social services and adoption agencies. She’s in “voluntary care whilst our family is in crisis” they said. I don’t know how long for, I don’t know what will happen next. It’s calmer and quieter in the Safehouse, although Littley is still terrified Biggey will be home any day now to carry out the violent threats. I don’t know where this leaves us except feeling sad, let down, disappointed and failed. 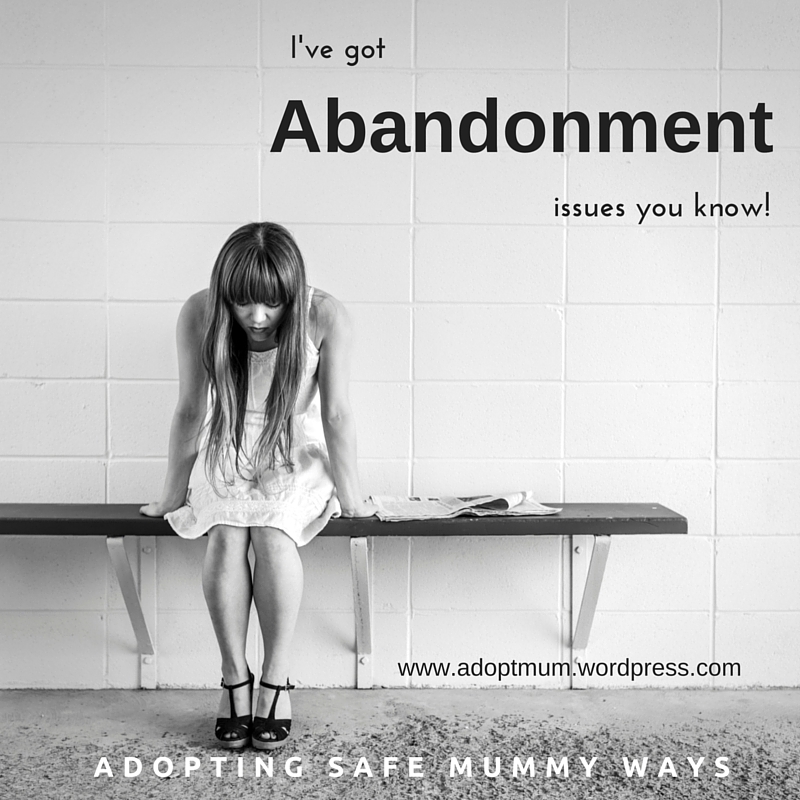 I’ve got abandonment issues you know. Even my mum needs to be told this, so I shout it at her so she hears me. It’s two weeks to end of school and then everyone will leave. All the teachers will leave. My safe person has already left me. It doesn’t matter that people tell me she’s gone to hospital for an operation. She’s left me. I don’t believe them that she’ll be back. Loads of other people have said things to me and left me anyway. My mum calls it “endings” sometimes. Why can’t I remember that people do come back? It’s all going to be so different. I’m really worried about being alone and I won’t know my teachers and I can’t manage Year 8. I don’t want to look like a baby but I feel like a baby and I need my mum and she’s not there at school because it not cool to do that. I fuss a lot when I feel like this and so my friends walk off and then I’m alone again. It’s so very tiring living this way. Wondering who will be there are the beginning and end and middle of the days. I look at her a bit funny because she doesn’t usually say that. We crawl into her bed and she puts her arm round me. I think I go back to sleep. My arm is numb but I daren’t move it. I’ve got loads to do today yet here I am laid in bed with baby attached to me like a limpit. She’s boiling, but if I move she moves with me. She needs to “feel” attached. Even in her sleep she knows if we move and will follow us or wake up. It’s 8:55 am on a Monday morning and the abandonment issue is well and truly in force. In that split second this morning I made a decision – I really did not want tired girl. Tired girl means she’s feels unsafe anyway because she never got much sleep when she was little. Tired girl thinks she’s back there and has to work much harder then she already does to make sure we know she’s there. Then she’s even more tired. Most of all, Tired girl has the most enormously loud cry. We’ll, it’s a wailing actually but still incredibly loud and you really really cannot ignore it. I don’t want her to wake up. She’s so much better when she’s not tired (aren’t we all!) and she can deal with things better when she’s not tired (so can I). So she’s laid asleep beside me (the dog at the other side). Ideally I’d like to rearrange the pillows so I can be comfortable. I’d also liked to have had chance to get a cuppa but I didn’t. So I stay here, drafting this on my phone, being uncomfortable, so that she sleeps. Then eventually, hopefully, we will be able to get up and cope with the adandonment that the day throws at us. The other stuff I was going to do probably won’t get done. It wouldn’t have got done if there’s been an almighty kick off which took up some time and left me feeling drained for rest of day either! All the transition / keep in mind tools are already in use again. She has a photo discreetly tucked in her bag. She wears my perfume and sometimes I put a plait in her hair or a pony tail and tell her that she’s got a little bit of me with her all the time in her hair and she can feel it. She’s got extra money for toast at break time to help her regulate. She takes pack-up so she doesn’t have to wait for the food at lunchtime and can get straight into a calming sensory soothing strategically made lunchbox that is also filled with love and kisses and crunch and sucky things. She will meet me again at the end of the day (and oh boy I will have to remember to do the big hugs and full on attention). Then we’ll start all over again. The good news is that we don’t have to do this all the time. After 8 years, we don’t always need to ” do the perfume and stuff” (as she calls it). Now we just do it when things go wobbly until the wobbles stop for a bit.